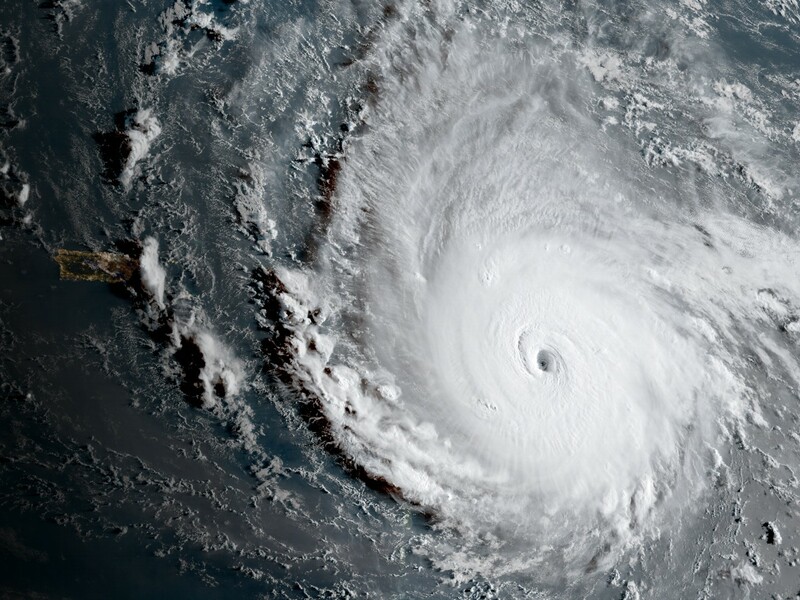 Following Irma is Hurricane Jose that is predicted to reek future destruction on some of the same islands in just a few days. And the same time, but receiving less news coverage, wild fires are raging in the midst of an extreme drought. This year blazes have flared up and down California from Los Angeles to north of Sacramento. There have also been wildfires in Idaho, Utah, Oregon, and Washington. Last night Mexico was hit with a magnitude 8 earthquake, causing a potential tsunami threat to several Central American countries. All the while this is going on North Korea is menacing the world and “playing chicken” with the United States by conducting Nuclear tests with their next launch expected on Saturday. And of course, ISIS continues to be a global terror threat and could strike anywhere in the world at any time as the 16th anniversary of 911 approaches. All of this reminds me of a passage from the Old Testament prophet Amos who was sent by God to warn Israel of impending judgment. While God has blessed them, they had neglected God’s laws. They had oppressed the poor. Reveled in luxurious wantonness. Indulged in the worship of idols with its attending immorality. And had rendered their worship to Jehovah as ineffectual and hypocritical. As a result, Amos reminds them how God chastised them with various natural disasters. Famine, flood, and drought. Blight and mildew that destroyed their crops, along with locusts. Death as a result of war. Yet, none of that phased them. The prophet repeated this line over and again. “Yet you have not returned to Me, says the Lord” (Amos 4:1-11). Finally, God’s message is simple. “Prepare to meet your God, O Israel.” (4:12). Judgment was coming. And the nation would fall into captivity, at the hands of the cruel Assyrians. I wonder. Is God trying to get our attention today? Is He sending us a message? Indeed God has blessed America with wealth, prosperity, and opportunity unlike any other country in history. Yet, we have squandered so much through waste, selfishness and conspicuous consumption. Morally, as a country, we’ve rejected God’s marriage laws, His guidance regarding sexual purity, and His divine gender roles distinguishing men and women. I wonder how long God will put up with this mess? I wonder if He’s using the disasters we deal with and the threats we face to send us a message? I wonder if He is calling us to repent? I am not claiming that the suffering so many are facing right now is a direct judgment from the hand of God. Nor am I asserting that the United States occupies the same status as ancient Israel. Furthermore, no human being has insight into the mind of God or the providential working of God outside of His revealed will, the Bible. All of the natural disasters we face right now could simply be attributed to chance. Or natural laws at work. Or, I suppose, in the minds of some, climate change. Yet, there is a striking parallel between the pronouncements of Amos that were fulfilled in 722 B.C. and current events. At least there is an application that is relevant. God desires that we faithfully obey Him. He has in every age and dispensation. If we learn anything from the Old Testament it’s this. Obedience is rewarded. Disobedience is punished. Events can occur in our lives that remind us of our dependence on the Lord. They can sometimes shake us up and prompt us to consider our ways. Re-examine our lives. And make course corrections. It can remind us of Jesus’ call to “repent or perish” (Lk. 13:3). Out of the tragedy in Houston, we’ve seen people coming together. Neighbor helping neighbor. Strangers risking their lives to assist their fellow man regardless of race, religion, or ethnic origin. We’ve heard more about the need for prayer in the past two weeks than in the past two years. People facing the fierce oncoming storm suddenly realize what’s really important. And it’s not their stuff. It’s their lives. Their families. And their relationship with God. “Prepare to meet your God” is a good motto to live by. Not just when facing the wrath of a hurricane. But every day. May the current sobering events we’re facing remind us of Solomon’s ever-timely exhortation. “ Trust in the Lord with all your heart, And lean not on your own understanding” (Prov. 3:5). Thank you for this post and insight. That is why I tell Americans to start saying, ‘God help America’ and keep the, ‘God bless America’ for now. Thanks for being a regular reader and for your kind and encouraging comments from time to time. I appreciate it. Citing Biblical references from Job (and others like Ecclesiastes 9:11 of time and chance) — one could post a different perspective. There are many things that we will never understand — the result of us living in a “Fallen World”. So true. And some of the problems we face are the consequences of sin and the work of Satan. I was explaining the same thing last night in a revelation class and Sunday morning in the sermon. Basically if you feel in this an indictment of conscience, heed the warning and treat it that way. While no man can speak beyond what the Lord has revealed He clearly illustrates His call to repentance and His reminders about judgment in this way throughout scripture. Though we cannot say anything for certain, we have certainly given Him enough provocation. Just consider the speed with which there has been change in just the last 70 years compared to the 1900 years before. Some has been good but seems most is bad or we make it bad. I guess this is also the first time in history that man can destroy himself, with the massive weapons we have. The end of the ages or end of this country know one knows but there is some strange things going on. However God is in control! Excellent! Plus it is very timely!! Thanks for confirming my fears. Unfortunately not many people think along this path but the truth is that God is speaking but the carnal minds will not understand. God is a GOD of law whose ways are predictable and whose word is unchangeable. What God called good on one occasion He would still call good centuries later and what He declared to be evil would be evil for ever. The God of justice demanded that He allowed disaster to come upon His rebellious people of all generation.This is a regular pattern in nature when He is displeased with the nations who offend Him. God own the whole earth and if His land is polluted, He overthows the nations and their leaders using His instrument of judgement, which may include a small insigficant country like Nouth korea. The only remedy is repentance. Please don’t stop to emphasize this sir.